This woodcut from the Voice of Action, a Seattle weekly published by the Communist Party, shows the spirit of militance and the new alliances behind the struggle for equal rights. It accompanied a Feb 12, 1935 article about the Todd bill that would have banned mix-race marriages in Washington State. Click to read about the successful campaign to keep that bill from becoming law. The nonwhite peoples of Washington State suffered higher rates of poverty and unemployment than whites during the Great Depression, but the 1930s also presented new opportunities for political action. Native Americans took advantage of the Indian Reorganization Act of 1934 to strengthen tribal governments, while African Americans, Filipino Americans, and Japanese Americans explored new ways to fight for equal rights. A civil rights coalition was born in the mid 1930s that would pay dividends in the decades that followed. Washington was a very "white" state in the 1930s, both in terms of population numbers and in the way that nonwhites were marginalized. 97.3% of Washington's residents in the 1930 census were identified as white. Japanese Americans (17,837) comprised the largest nonwhite minority, mostly living on small family operated farms in King and Pierce Counties where they grew fruits and vegetables and in Seattle's Nihonmachi district where, prior to the Depression, Japanese families owned a network of hotels, stores, and other enterprises. Some of these farms and businesses were lost in the downturn, but the Japanese community pulled together and economically may have weathered the crisis better than many other populations. The Native American peoples of Washington (11,253) lived almost entirely on reservations or near ancestral lands that had been lost as reservations were reduced or terminated in the decades since statehood. Collectively Indians had long been the state's poorest residents and the early 1930s made things worse, as tribal timber sales declined and seasonal work on farms disappeared. New Deal programs helped somewhat. The Indian Reorganization Act allowed tribes to write constitutions, reclaim elements of self rule, and take steps to preserve and honor their cultures. The tribes that shared the state's largest reservation formed the Confederated Tribes of the Colville Reservation and stopped the proposed sale of reservation land. The Muckleshoot, Tulalip, Swinomish, Steilacoom, and some other reservations were also reorganized. Poverty, however, remained acute. Some Indians worked for the Civilian Conservation Corps and later the Works Progress Administration. The federal Housing Act of 1937 provided funds for new housing on some reservations. On the other hand, the huge dam building projects of the 1930s threatened the food supply of peoples living along the Columbia and other rivers. African Americans (6,840) had been coming to the state in small numbers since the turn of the century, settling mostly in Seattle, Tacoma, and Spokane. Excluded from white-collar and even blue-collar jobs, and thus dependant on service sector employment, Blacks had nevertheless created tight-knit communities that seemed prosperous in comparison to the Southern places from which most had come. The Depression hit hard. Black unemployment rates were several points higher than those for whites and Asians. But key businesses survived, including the Northwest Enterprise, the newspaper voice of Seattle's black community. Chinese Americans and Filipino Americas were respectively the oldest and newest communities of Asians in Washington State. The small Chinatowns of Seattle and Tacoma had been rebuilt after the driving out campaigns of 1885 and 1886 and over time Chinese Americans (2,195) developed a strong commercial sector that seems to have remained largely intact through the early 1930s crisis. Most Filipinos (3,480) had arrived since the mid 1920s and, unlike the Japanese and Chinese, had not developed distinct residential communities or extensive business sectors. Largely single men, Filipinos often depended on seasonal work in the canneries of Alaska, the farms of Yakima Valley, and domestic service work in the cites. They would suffer high rates of unemployment and underemployment in the 1930s. African Americans, despite their tiny numbers, had been politically active since the late nineteenth century and took pride in the fact that Washington State had never mandated school segregation and some of the other forms of exclusion that were part of the legal system in many states. The Great Depression encouraged new expressions of activism. The NAACP, the Urban League, and the Northwest Enterprise, published in Seattle by William H. Wilson, had long represented the state's black communities in the fight for rights and dignity. What was different about the 1930s was that Black civil rights activists now found new allies, first in the Communist Party and later in the left wing unions of the Congress of Industrial Organization (CIO) and the left wing of the Democratic Party as represented by the Washington Commonwealth Federation. Filipinos became politically active for the first time in the mid 1930s, launching both unions and civil rights campaigns. In 1933, Filipino Americans organized the Cannery Workers and Farm Laborers Union to represent men working in the canneries of Alaska and the fields of Yakima and Skagit valleys. The left-wing union and its affiliated newspaper, the Philippine-American Chronicle, became a source of pride for the broader Filipino American community and an important link to the American Federation of Labor and later the CIO. Japanese Americans also developed a new voice, much less radical. In 1928, James Sakamota, a second generation (Nisei), had begun publishing the Japanese American Courier in Seattle, the first English-language newspaper to serve mainland Japanese communities. The following year, Nisei up and down the coast created the Japanese American Citizens League (JACL) to contest discriminatory measures like the Alien Land Laws that prevented Japanese immigrants from owning property. Through the 1930s, Sakamoto's newspaper and the JACL gently argued for full civil rights for Japanese Americans and sometimes supported the campaigns of other communities. At the University of Washington, female students and professors were challenging traditional stereotypes and defending their right to hold jobs of their own during the economic crisis. Jewish organizations and activists played an important role in the civil rights struggles of the 1930s. Jews often faced discrimination in employment and sometimes in the sale and rental of housing. Even more, they lived in a climate of anti-semitism that became increasingly ominous as Hitler's Germany made hatred of Jews official policy after 1933. The Anti-Defamation League and the Jewish Telegraph, a weekly published in Seattle, served as important advocates for not only Jewish civil rights but for the broader agenda of equal rights for all Americans. The outlines of a new and eventually powerful alliance became apparent in 1935 when the legislature considered a bill that would have made mixed-race marriages illegal. Washington at that time was one of only a handful of states that did not prevent mixed race couples from marrying. Weeks before, a Filipino-American man and a white woman had applied for a marriage license. Determined to block it, several newspapers and politicians, including then King County prosecutor Warren G. Magnusen, urged the legislature to pass an anti-miscegnation law. But a coalition of activists and organizations persuaded the law makers to kill the bill, and kill a similar measure that was introduced in the 1937 legislative session. The coalition was centered in the African American and Filipino American communities and given voice in the Northwest Enterprise and Philippine-American Chronicle. The Japanese American Courier more cautiously lent support. Critical too were the efforts of the Communist Party and of left wing unions that had the requisite influence with legislators. It was a very important victory. Not only did it defeat a vicious discriminatory measure, it signaled the start of a civil rights alliance that would win other victories over the next decade and a half, including the struggle to win jobs in Boeing and other defense industries during World War II, the fight to force stores, restaurants, and hotels to serve people of color, and the campaign against racial housing covenants that kept Blacks, Asians, and Jews from living in many neighborhoods and some entire communities. There is more about the long history of racial segregation and civil rights campaigns on The Seattle Civil Rights and Labor History Project as well as in the essays below. The police murder of a Seattle African American man during the Depression led to a successful civil rights lawsuit in the Supreme Court. The labor/radical reform coalition, the Washington Commonwealth Federation, organized an "anti-fascist" boycott against Japanese goods as part of an effort to oppose Japanese imperial expansion into China. However, this stance bled into anti-Japanese sentiment that would culminate in the internment of Japanese Americans during World War II. Litchman was one of Washington's most ardent legal defenders of labor radicals and civil rights advocates. Throughout his long career he defended IWWs and other radicals while fighting for Socialism and civil rights. The civil rights policies of the Washington Commonwealth Federation, a labor/left political coalition, mirrored the zigzags of the international Communist Party's politics, swerving from defending them to silence around Japanese American internment in World War II. Two anti-miscegenation bills proposed during the 1930s were successfully blocked by protest and political activism among the Northwest's communities of color, including Filipino Americans. During the Depression, many Japanese Americans in the Northwest began to embrace both Japanese and American cultures, nurtured cross-cultural social life, carved out economic sectors for themselves, and created political organizations with active participation in local cities and towns. How did Jewish women in Seattle negotiate the Great Depression? An investigation of the Seattle Jewish Transcript offers some indications. The newspaper reinforced traditional understandings of women as wives and mothers while also stressing the importance of education, up to a point. 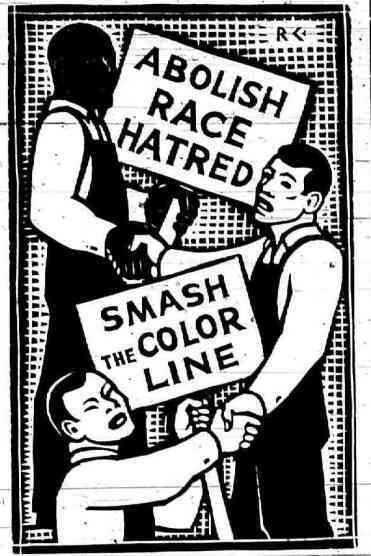 Two anti-miscegenation bills proposed during the 1930s were blocked by an activist coalition of African Americans, Filipino Americans, and progressives. Seattle's Jewish community sought out several strategies for responding to Anti-Semitism during the Great Depression through their newspaper. The second generation of Japanese immigrants, the Japanese American Nisei, used civic organizations and Seattle's ethnic newspapers to create a fully American identity for themselves in response to anti-Asian sentiment. Female students in the 1930s challenged accepted ideas of women's education, participation in college athletics, and domestic and social responsibilities. Depression-era labor policies did not allow married women to hold jobs, favoring a husband's work. Prof. Lea Miller at the UW was fired, and sparked a national protest over the policy. 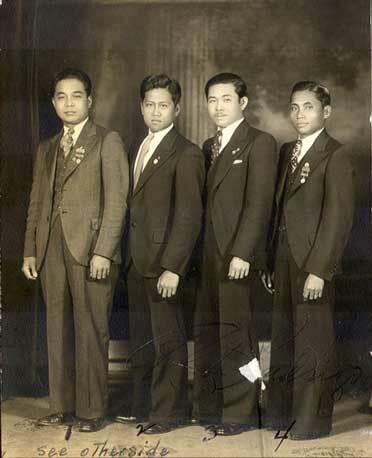 Read the history of the first Filipino-led labor union in the United States, based in Seattle. Velasco was the central figure in Filipino American journalism in the Northwest. This paper traces his political evolution toward progressive politics. Susie Revels Cayton, the matriarch of one of Seattle's most prominent families of African American labor activists, sociologists, and political figures, was a driving force of the family's progressive ethos, and a writer and activist in her own right. Frank Jenkins was one of the first non-white members of the ILWU, and advocated for increased civil rights within the labor movement. Revels Cayton was the most prominent African American communist, labor leader, and activist in the Northwest during the 1930s and 1940s. This paper traces the civil rights campaigns of the Washington State Communist Party during the Depression years. The Chronicle was the paper of the Filipino-led cannery workers' union, as well as a source of progressive news for the Filipino and labor communities in Seattle.